Boil porcini mushrooms in a sauce pan for 5 minutes or until soft. Drain the water. In a frying pan, melt butter and sauté onions with garlic over medium heat. Rinse the livers, cut in small pieces and add to the pan alongside with mushrooms. Pour the wine in and bring to the boil. Simmer until the livers are cooked throughout. Let it cool down before transferring into a food processor. Process until smooth (if you feel like the pate is too hard, add some more melted butter) Season with salt & black pepper. Let it cool completely before transferring into jars. Store in the fridge! Eat within a week. 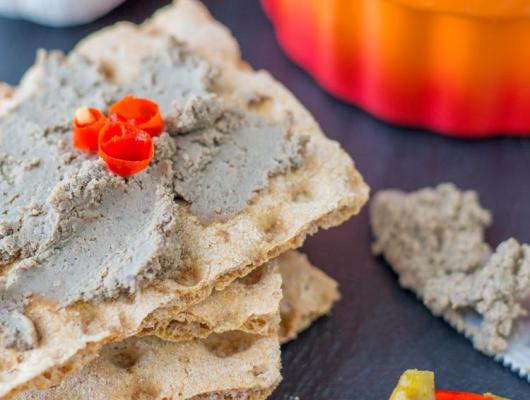 ​This homemade pâté is rich in flavor with a hint of mushrooms and red wine. 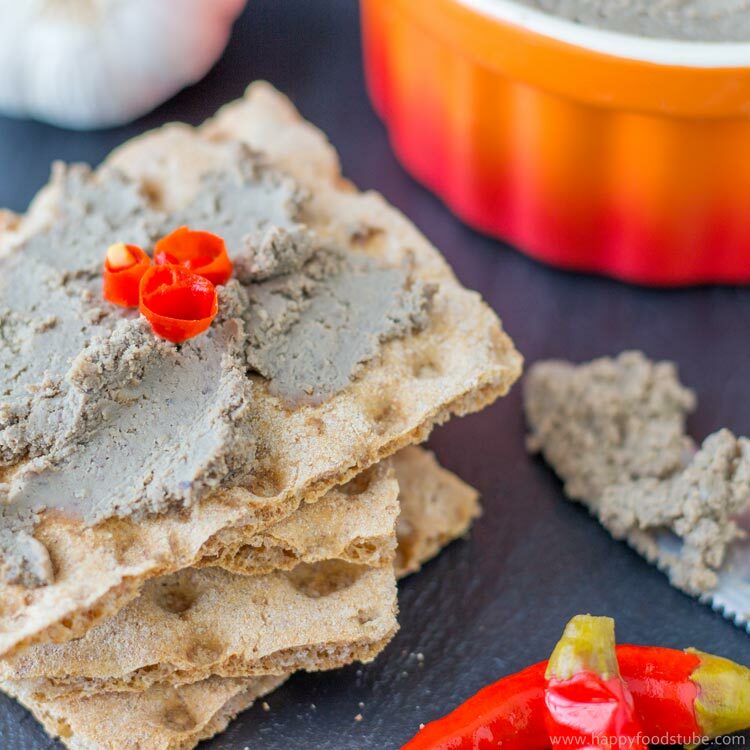 Absolutely delicious on a slice of warm toast or as a snack (appetizer) at your party!